RSpec is an open source Behavior-Driven Development (BDD) ruby package that lets you build a specification alongside your software. BDD is an approach to software development that combines Test-Driven Development (TDD), Domain Driven Design and Acceptance Test-Driven Planning. RSpec helps you do the TDD part of that equation, focusing on the documentation and design aspects of TDD. FitNesse is a test framework that allows testers, developers and customers to collaborate to create test cases on a wiki. Teams can take examples of desired software behavior and turn them into automated tests, integrated with narrative requirements documentation. FitNesse runs its own wiki web server. It’s possible to test applications written in Java, .Net, Ruby, Python, C, and PHP using FitNesse. Apache JMeter is open source Java desktop software designed to load test functional behavior and measure performance. 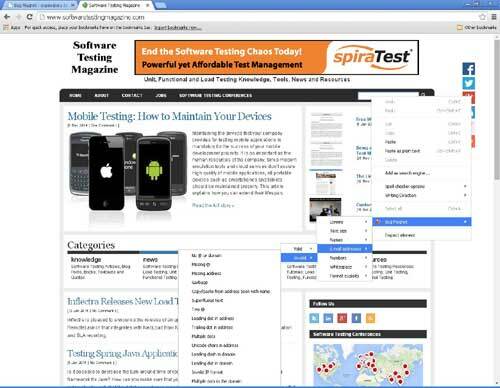 It was originally designed for testing Web Applications but has since expanded to other test functions.